The centerpiece of a collection deserves to have a more unique look and display. This Single Samurai Sword Wall Rack stays true to its roots while also accenting any katana it holds, making it a superb way to highlight your favorite Japanese sword. 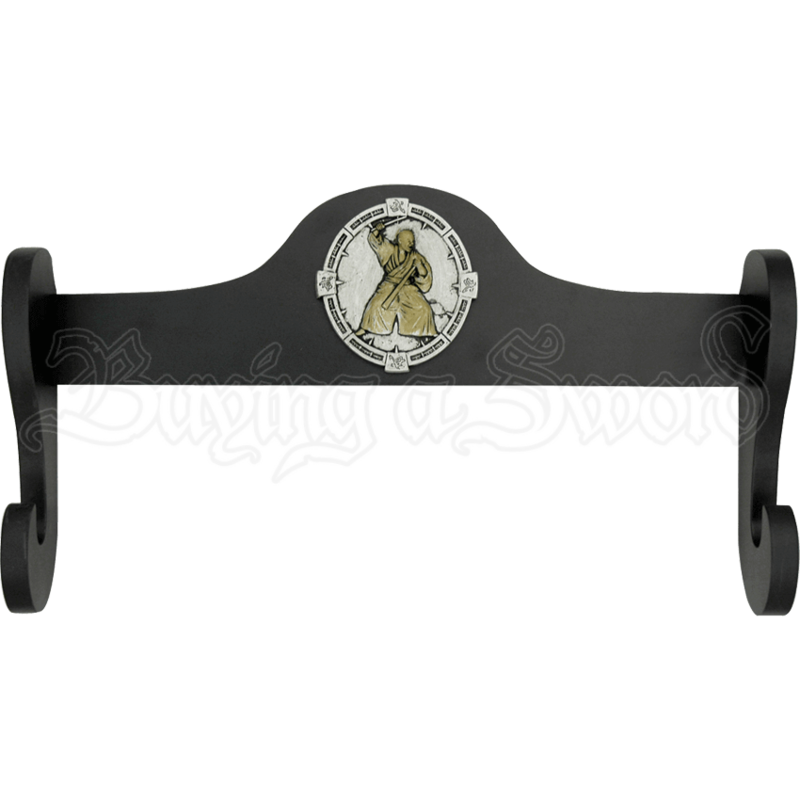 This sword rack is designed to be mounted on the wall and features a single horizontal support that is emblazoned with a white medallion that features a yellow samurai emblem. 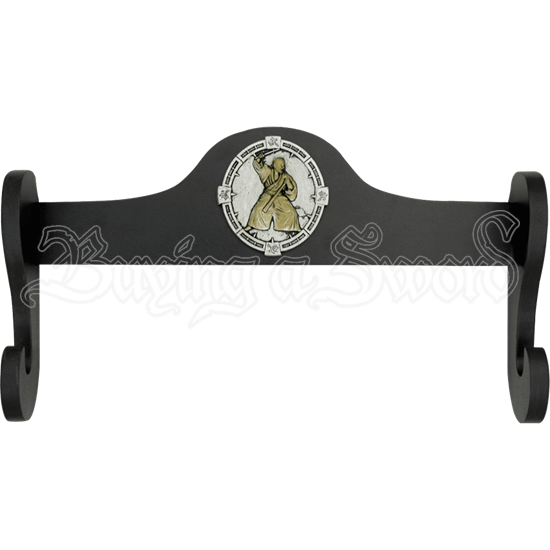 The stand itself is made from hardwood and features a black lacquered finish that perfectly accents just about any sword you might place on the rack. It is designed to mount securely to a wall, and provide the perfect place to store away any sword of your choosing. Thanks to the cultural emblem, though, this Single Samurai Sword Wall Rack is the perfect way to bring a touch of Japanese style to your collection, as well as the perfect way to highlight the central katana, chokuto, or other Oriental sword in your collection of arms and weapons.